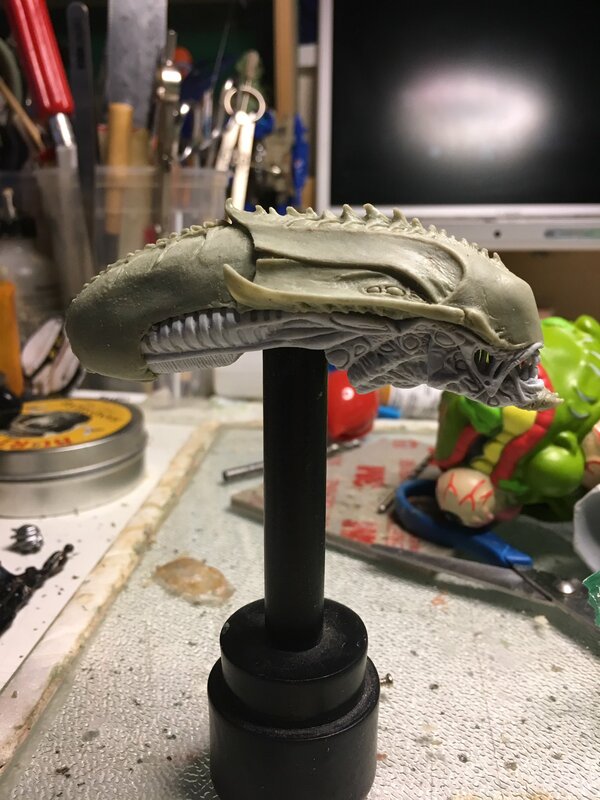 NECA has shared a photo of a new Alien head sculpt their team is working on. The unnamed Alien has an extremely unique design, that has fans excited and left guessing as to what the inspiration is for the design. One guess I’ve seen, is that this is the Alien Arachnoid from Capcom’s Alien vs Predator Arcade Game. Other guesses are that this is an upcoming Kenner Alien figure. We’ll update when we know more. For now, click the banner image above for a larger preview. Well, that's neat. Can any Kenner fans take a guess? 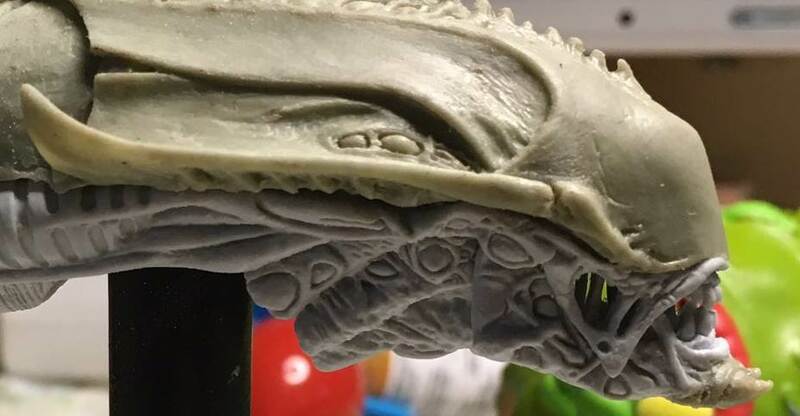 Can't say with certainty but it looks a lot to me like it's made with the Dog Alien as a base which would lean me towards guessing the Kenner Cougar/Night-Panther Alien.